With only Slovenia in between the two countries, it’s easy to travel from Austria to Croatia. There’s a number of different routes and methods of transport available to you! Most journeys will take you to Zagreb, where you can then travel on to other parts of Croatia. If you find yourself arriving in Graz by plane, you can travel from the airport to the town using the inexpensive bus service (journey time 20/30 minutes) which takes you to the city centre or, more conveniently, directly to Graz train station (“Graz Hauptbahnhof”); see the timetable. On the left-hand side of the railway station building there is a bus stop to where your airport bus will bring you (opposite the Ibis Hotel). There are now four buses a day (five on Fridays), run by either Croatia Bus or Crnja Tours). The journey time is 3-4 hours. Please note that the buses on Fridays can be very crowded as some Croatian workers return home for the weekend. There is a direct train to Zagreb that departs at 6.40pm, which takes just under 4 hours. The Die Bahn website is the best place to look up details. Your only option in travelling from Klagenfurt is train. There are a few train services a day, and all involve at least one stopover (usually at Villach). Journey time is about 4 and a half hours. Once again, train will be your most likely mode of transport. There is normally at least one direct train a day, with a journey time of around 7 hours. Train is the best option once again! All train journeys will require at least one stopover; the fastest journey time is about seven and a half to eight hours. 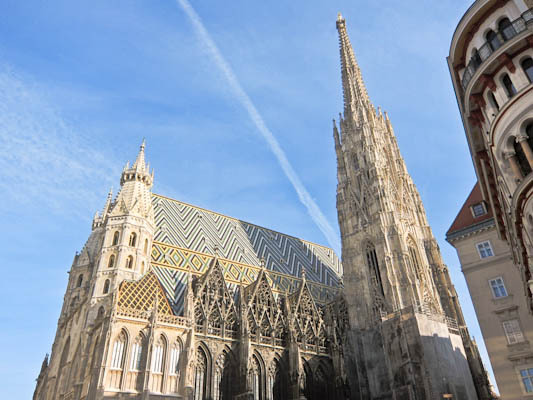 Croatia Airlines operate daily flights from Vienna to Zagreb year-round; from here, you can take connecting flights to cities on the coast. During summer, they also operate flights to Split. Austrian Airlines also have direct flights from Vienna to Zagreb, Split and Dubrovnik. Eurowings also have flights from Vienna to several Croatian airports, though a change in Germany is required! There are also direct trains from Vienna to Zagreb, with a journey time of 6 to 6 and a half hours. Flixbus offer an ecologically friendly and cheap route from Vienna to Zagreb with their daily bus, which takes five hours. There is a daily overnight direct train from Innsbruck to Zagreb, with a journey time of 9 and a half hours. Why not enjoy a brief stay in Austria? If you have the time, it’s lovely to stay in one of these beautiful Austrian towns or cities before travelling on to Croatia! Ryanair have flights from London Stansted to Linz, and London Stansted, Leeds Bradford, Manchester, Edinburgh and Dublin to Bratislava for Vienna.